Illusions and reality: marine biology as a career. When I tell people I am a marine biologist a common response is “I wanted to do that when I was younger!” Among possible careers it is both high on the list of desirability but low on success rate. Why is that? In my experience many people love the ocean, and hence the marine part, but not so much the biology part. Centering your life around the sea and its critters has a certain romance around it — sailing on clear blue seas, playing with dolphins, diving on coral reefs, exploring the deep ocean from a submarine — that draws people in. However true that all my be, marine biology is a scientific discipline, and a competitive one at that, and as such requires a high level of dedication and discipline to plow through years of technical material that may at times seem very remote from those blue seas. There is no big secret per se; anyone can do it but it is not the easiest of careers to tackle successfully. So here is my guide on how to become a marine biologist, which is designed for students of all ages, those thinking about marine biology, those already doing it but having trouble staying the course, and those that may already have their degree but are thinking about going back for more. This tips come from my own experiences as well as my 22 years as a professor in academia teaching and mentoring undergraduate and graduate students. These are most certainly my opinions but one formed from seeing 100s of students go on to successful careers in marine biology plus a great many more that didn’t. Embrace all things ocean. 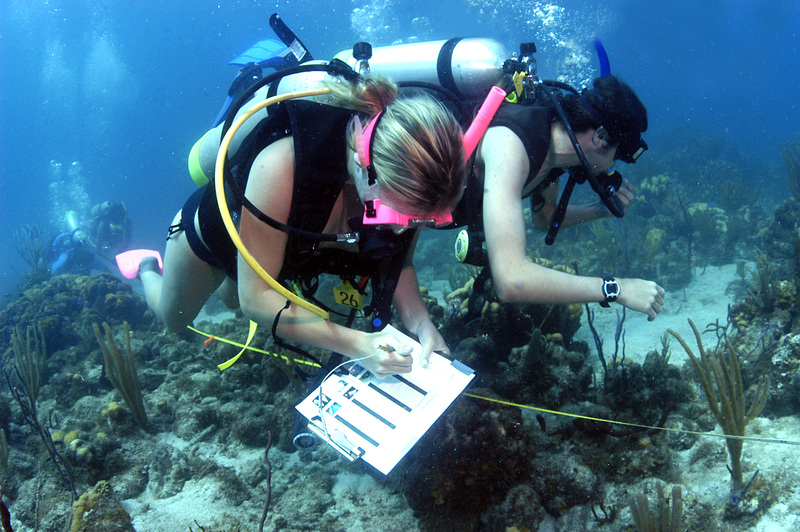 Becoming a marine biologist is a long journey, one that has many twists and turns. What gets you started and where you end up can be very different things. As your journey progresses you have to be open to change, to adapting to your interests and new knowledge. The common denominator is of course the sea and its life. You may start out loving Dolphins but you may end up with a zeal for sea stars. Ultimately it your passion for the ocean and marine life that has to be sustained because it will sustain you. See the ocean in everything you do: biology, chemistry, physics, math, you will enjoy or suffer — your choice — through these classes if you cannot see how they are relevant to getting where you want to go. Trust me, they are all important, but it may not seem like it at the time. 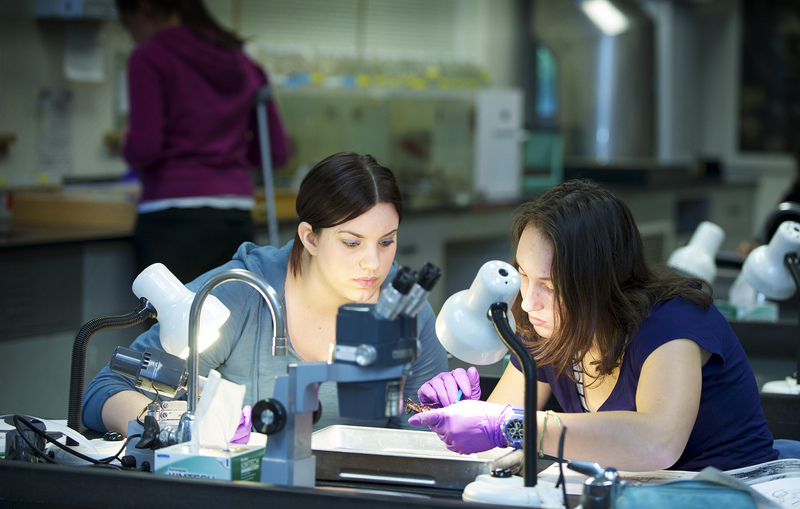 As you move into upper division courses like marine ecology, ichthyology, and invertebrate biology, you will see the relevance and enjoy the rewards of your foundational labors. Hang in there, it gets much better. You can’t foresee where you will end up or what will become important so do your best to master everything: waves, tides, currents, salinity, pH, nitrogen cycles, rates, ratios, differential equations, genetics, physiology, ecology, all are very exciting and highly relevant to understanding the ocean. Learn to love it. Be ready for tons of this. 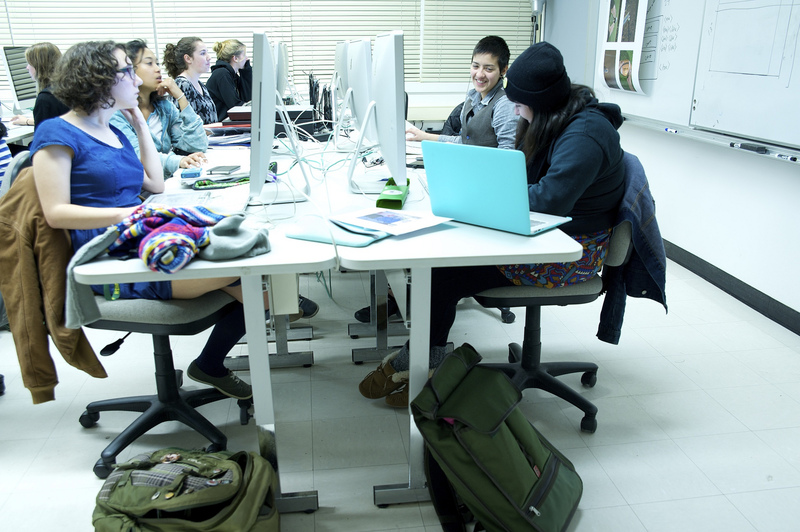 Photo courtesy of Humboldt State University. Creativity is key. As much as science is viewed as a left brain endeavor, it is not. Creativity is at the heart of science, and hence in marine biology. Discovery and intuition are key in our search for the truth in nature. For ultimately, we only truly love what we understand. Scientists don’t discover in order to know stuff, they know stuff in order to discover. The famous biologist E.O. Wilson stated that the ideal biologist thinks like a poet but works like a beekeeper. Making observations in nature, in the sea, is inherently difficult, but observations are the key to understanding natural history, which is essential for constructing hypotheses and experimental tests of our ideas. We cast our intellectual thoughts out into the world and see if they hold up. This is inherently a creative process where imagination is more important than memorizing facts. Although facts are essential, being creative in science is a lot more important than you might think. Skill up. To be successful in a competitive world you need to set yourself apart from others. Most all students that apply to graduate school to work with me have excellent grades, high GRE scores, and tons of research experience. The things that I notice are that extra skill or area of expertise that is unique. This is where those electives or extra effort can pay off. I’m not talking about minors or double majors, honestly most people don’t care about those, me included. It is what you KNOW and can DO that is key. Master statistical analysis and how to model complex data sets, or how to work with geospatial tools and databases; become adept at genetic analyses or the use of new molecular tools; become a scientific diver or learn how to process video transects. The idea here is to build on your other talents and interests to strengthen your already awesome resume in science. Think broadly, be creative, then get experience using your new-found skills. It will pay off. And tons of this. Photo courtesy of Humboldt State University. Just do it! Nothing is more impressive than a student that has tons of experience by the time they graduate. 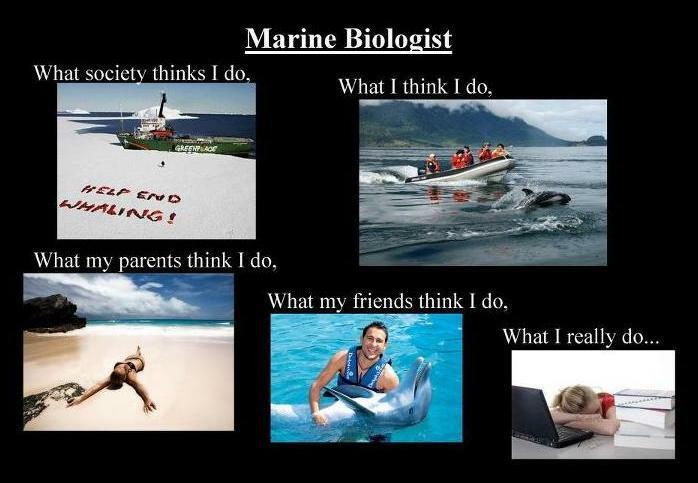 Although you may not feel you are a marine biologist as a sophomore in college, you are! So just get out there and show us what you can do. Talk to your professors or that biologist next door and volunteer to help them in the lab or field. Get experience analyzing biological samples or using complex instruments. It doesn’t matter what you do, it doesn’t even have to be marine, but the more hands-on experiences you have the more likely you will succeed. Through these experiences you will learn what you like and what you don’t like which is invaluable for shaping your career choices. Remember college is a journey so be open to change and where it may take you. Book knowledge is important but practice will help pull it all together for you. Never give up. Determination is required. Science is hard work and there will be times when you will lose momentum, perhaps for years. There are many people who want to be marine biologists so it is competitive. The only way you will not become a marine biologist is by giving up. Of course before you commit yourself to eternal frustration be honest with yourself about your chances. Do you really love marine biology? Do you love science? Are you good at what you do? If you honestly think you are great don’t give up, never give up, and you will succeed. The road is not easy, nothing worthwhile is, but it can be very rewarding. This is completely accurate! I’ve heard the “I wanted to be that when I was little!” so many times too. Thanks for the great post! I was reading this article and I highly enjoyed the information given about how to accomplish the dream of becoming a Marine Biologist. I am doing a project for one of my classes and I had a few questions for you if you have the time, it would be very helpful. Thank you. I also have a question sir ,How many Black people are work in Marine Biologist? Hi Nomcebo, The answer is there are some but unfortunately not as many as there could be. Here’s an excellent post on the topic which includes a description of a few famous black marine biologists.